At Coastal Heritage Bank, our focus has always been on supporting community growth by serving customer needs. This focus has defined and differentiated us on the South Shore for generations. 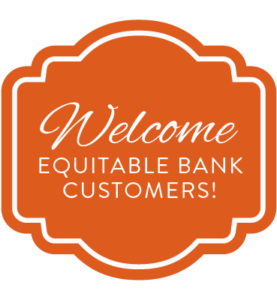 Recently, through a merger with Equitable Bank, we increased our presence on the South Shore—as well as expanded our reach to include the North Shore. We’re tremendously excited about this merger and about “Growing Together” again, which will enable us to better help our neighborhoods and our neighbors alike. Coastal Heritage Bank has 15 convenient locations in the North and South shore areas. Now it's easy to do your banking 24/7 using your iPhone®, iPad® or Android™ smartphone. Access your accounts, deposit checks, find ATMs and more. Coastal Heritage Bank is committed to offering loan products to our commercial clientele on attractive terms and with competitive interest rates. We are actively lending and have programs available for a wide variety of commercial financing needs. Call to discuss your needs and learn about the many financing options available from Coastal Heritage Bank. Coastal Heritage Bank has been providing affordable home financing for residents of eastern Massachusetts in a personal, courteous, and professional manner for over a century. Likewise, we have been providing friendly, competitive, and sensible financing solutions. If you are thinking about purchasing, refinancing, building, or renovating a home; refinancing or purchasing an automobile; taking out a personal loan; or acquiring a home equity line-of-credit or home equity loan —talk to us first or apply conveniently online. We have money to lend at competitive rates and service that is unmatched. Coastal Heritage Bank offers business checking, services and loans to meet the demands of your business. Call to discuss your needs and learn about the services and products available from Coastal Heritage Bank.